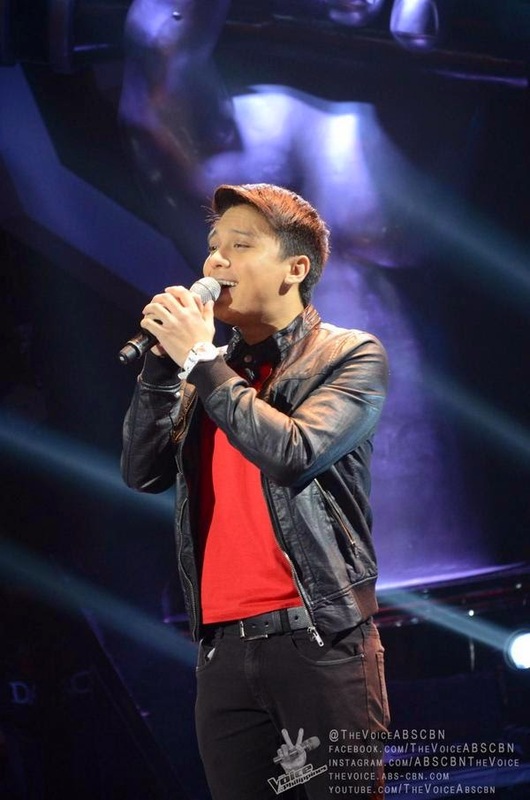 Manila, Philippines - Singer Timothy 'Timmy' Pavino performed a Martin Nievera's hit "You are My Song" during the Blind Auditions premiere of ABS-CBN's best vocal competition 'The Voice of the Philippines Season 2 aired on Sunday, October 26, 2014. The 24-year old singer from Seattle, Washington impressed Coach Lea Salonga, Sarah Geronimo and Bamboo Manalac who have turned their red chairs. Timmy eventually picked Team Lea. Pavino started performing at age 7 on the big stages of the historic Nippon Kan Theater in downtown Seattle and the Meany Hall of the University of Washington. In 1997- 2009, Timmy was featured in various concerts of Kuh Ledesma, Gary Valenciano, Martin Nievera, Pops Fernandez, Regine Velasquez, ZsaZsa Padilla, Sharon Cuneta, Basil Valdez and Van Ness Wu of the famous F4 group, to name a few, at theaters in Washington, Las Vegas, Los Angeles, San Francisco, Vancouver BC and the Philippines. Aside from joining TV5’s “Kanta Pilipinas” last year, he has also performed at GMA 7’s “Walang Tulugan” and ABS-CBN’s “ASAP Rocks” in a duet with Angeline Quinto, and was featured at ABS-CBN News Channel (ANC), WOW Radio, DZMM, Gospel Jam, 700 Club Asia, UNTV’s “Rise & Shine,” Center for Pop shows and a lot of other special events in the community. A week prior to the pilot episode, ABS-CBN has released two teasers of blind auditions wherein two female contestants sang their respective audition piece. The Sunday's premiere episode of 'The Voice of the Philippines' Season 2 dominates online conversations with 'The Voice' and #TheVoicePHisBack among the trending topics.